Oh, how tides are shifting and our team is growing here at the Salon Owners Collective! In addition to welcoming Louise May to our salon coaching team, we also recently welcomed Sam Jones as a coach as well, and are eager to be able to help more salon owners in our community with 1-on-1 support, guidance, and accountability through coaching! Today I’m ecstatic to introduce you to Louise and have you hear her story and learn about her expertise because I know she can be a game-changer for your salon’s success. With over 30 years in the salon and beauty industry as a qualified stylist, 20 of those years being a salon owner, Louise knows what goes into building a thriving business and sustainable salon. During those years she discovered many of the lessons she now helps her coaching clients with, most notably being how to get your salon’s systems spot on and build a firm foundation that helps keep everyone at the salon moving in the same direction and toward the larger business vision. When it came time to move on from salon ownership, and on to something new, Louise sold her salon, which had seven full-time staff members and one part-time staff member, and moved into a position with a Haircare & skincare private branding company where she worked closely with salon owners with creating & selling their own brand of retail and professional products. This corporate gig required Louise to travel to sometimes up to 20 to 30 businesses a day, which is where she discovered that there were fundamental issues across many of the salons she was visiting and that there was a lot of room for improvement. With time, as she visited these salons, developed relationships with the owners and gave them advice and wisdom that was met with significant success, Louise knew she was onto something. She could take her years of experience, lessons learned, and business advice gathered and help others not just transform the success of their salons, but also their personal fulfillment. She could help support people and change lives, and thus, her foray into coaching officially began. 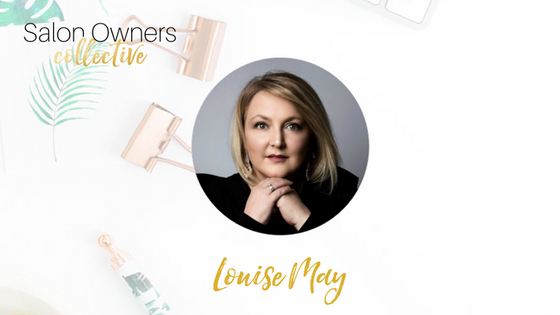 In addition to her work with the private branding company, Louise also has experience as an area manager for a salon company, allowing her the opportunity to with work salon owners from the ground-up. During that experience paired with her 20x daily interactions with staff in salons, she was able to identify the core issues she sees salon owner’s struggling with and take her unique approach to helping them step out of their salon bubble and take on a much-needed outside perspective. Is Louise Your Perfect Fit Coach? 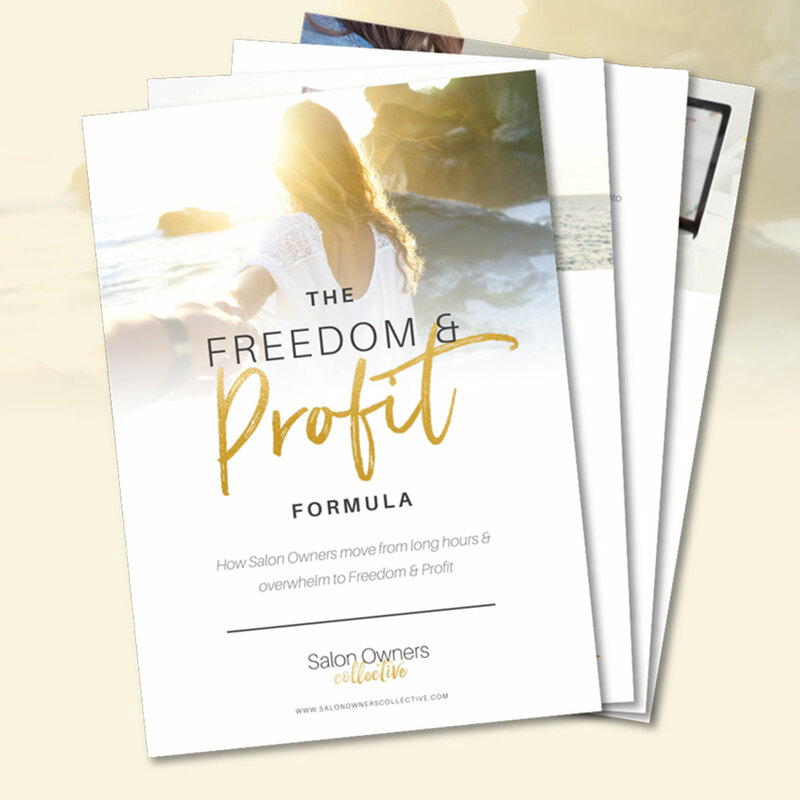 Whether you’re a new, first-time salon owner who wants to make sure you start off on the right foot with a solid foundation, or you’ve been in business for awhile, but know something’s got to change in your salon with bringing in more revenue or knowing your numbers, especially client retention, Louise is your go-to gal. Essentially, she’s an operational and systems aficionado who’s ready to whip your salon into 7-figure shape.